Air Bravo is a leader in the Air Medevac ,charters and aircraft maintenance and is looking to expand our maintenance department to maintain our fleet of Pilatus PC-12/45 aircraft which are based all over Ontario. 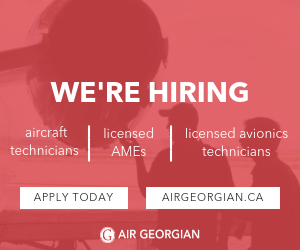 Air Bravo Corp is currently looking to add an AME to our maintenance staff at our Thunder Bay base. Air Bravo offers competitive wages, comprehensive benefits package and a friendly and safe environment for you to gain knowledge and experience. Candidates must hold a valid M1 licence. Pilatus PC-12 and Pratt & Whitney PT6 experience is an asset. Thank You for your interest in Air Bravo Corp.